Well nearly! At last week's Fresh conference, there was a very newsworthy virtual robotic attendee. 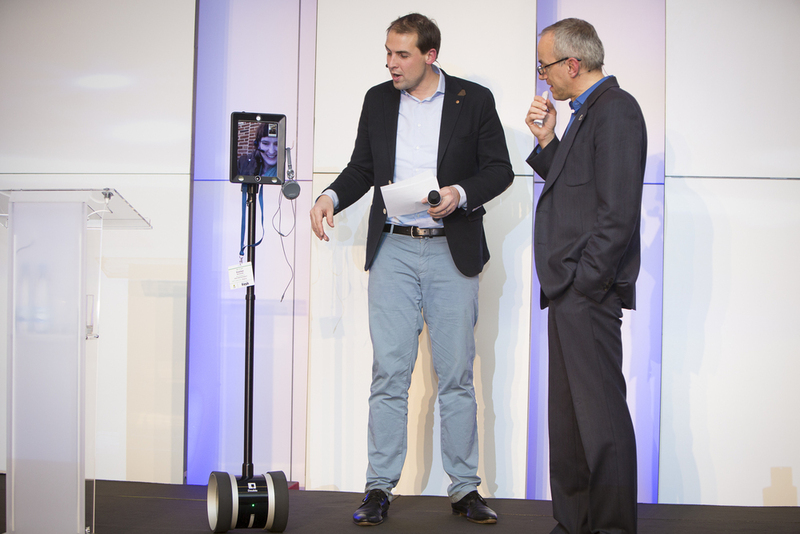 The conference was held in Copenhagen and Evelyn was at home in Belgium but attended by way of a cyborg - a combination of iPad and Segway-inspired robot stand. From her computer Evelyn was able to manoeuvre her cyborg self around the conference centre and talk to other attendees and listen to presentations. 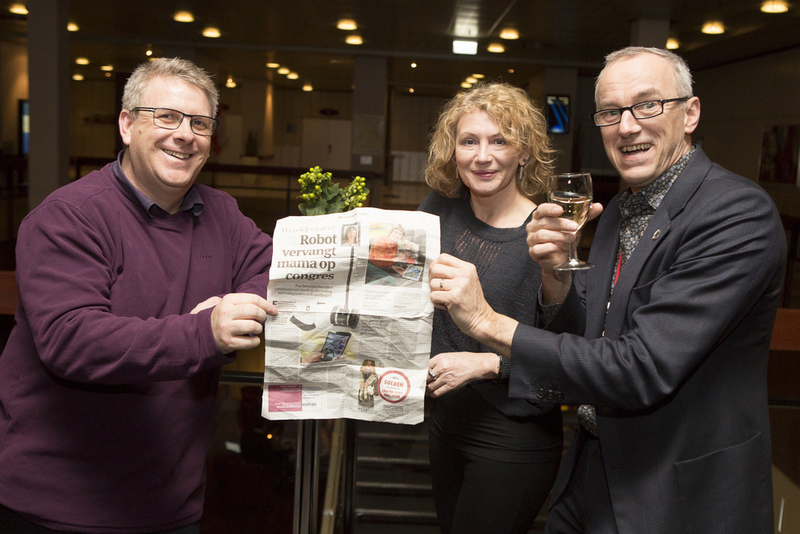 The story was picked up by the Belgian media - this photo shows Alan, Bev and conference organiser Maarten Vanneste with a newspaper story from a Belgian national. The same day, Cascade provided video footage to Belgian TV station VTM - the story aired as their 'dead donkey' that night!